Her short stories and essays have appeared in Prima Materia, Short Story International, CAAC Inflight magazine, Westchester Family, Dutchess Magazine, The Country, and Dutchess Mature Life. Andover Green published one of her children’s stories in Six Inches to England: An Anthology of International Children Stories. Amy’s first full length novel: A Concubine for the Family was published in 2012 and has won critical acclaim and is well received. She is working on the sequel: Under the Red Moon. Amy is working on a family saga in two novels — A concubine for the Family and Under the Red Moon. 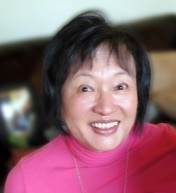 Amy‘s recent photo essay on Josephine Fang was published in June 2014 in the 40th Anniversary magazine of the Chinese American Library Association (CALA). See here for the article. For the full issue of the magazine, see here. 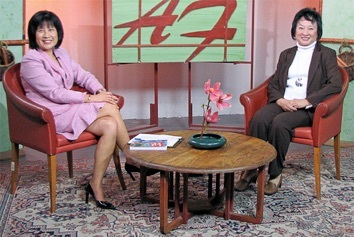 Amy was interviewed by Mary Sit of Asian Focus on TV Station WHDH Ch. 7 of Boston, MA in May, 2008. Amy was interviewed by Jerry Bovino of Eye on Aspen on Grassroot TV in Aspen, CO in August, 2008. A short sample of the one hour program is shown here. Jerry Bovino of Eye on Aspen on Grassroot TV in Aspen, CO in Aug 2012 introduced Amy’s book: A Concubine for the Family.